Hong Kong-listed Summit Ascent Holdings Ltd, the lead developer of the Tigre de Cristal casino resort (pictured) in the Russian Far East, has appointed as a non-executive director a businessman with links to Macau and the mainland Chinese province of Fujian. 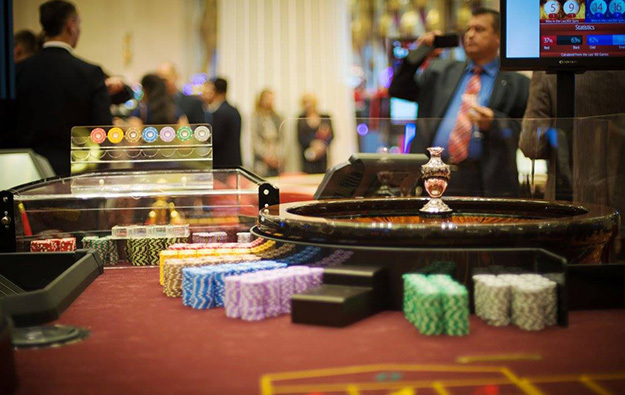 In other developments, Summit Ascent had said in its interim results filed with the Hong Kong Stock Exchange on August 31 that it was “actively negotiating” with some Macau-based contacts in order to “resume the growth trajectory” of its rolling chip business. The new non-executive board member, U Chio Ieong, will have a three-year tenure until September 6, 2021. Mr U was one of the candidates – on an electoral ticket tied to Macau casino boss Chan Meng Kam – competing in the direct election for Macau’s Legislative Assembly in 2017. Mr U officially started his new role with Summit Ascent on Friday, the firm said in a filing that day. Mr U is described as a businessman with experience in “various fields”. The filing stated he has held management positions and shareholdings in a number of companies in mainland China, Hong Kong and Macau, mainly engaged respectively in “real estate, graphene mining [sic], food and beverage, hotels, finance, travel, rosewood furniture and crafts”. During the Macau Legislative Assembly election in September 2017, Mr U was on an electoral ticket led by Song Pek Kei, a local legislator who was seeking re-election. Chan Meng Kam – a veteran former legislator and local casino boss born in Fujian – did not run for office last year; but he campaigned in 2017 in support of legislators Si Ka Lon and Ms Song, both of whom were re-elected. Mr U – who was third on the electoral ticket – did not win a seat. Mr Chan came to international attention when in March this year he expressed hope that locals could “participate” in the process of deciding future gaming rights for the Macau market. His own portfolio of four Macau casino hotel properties is understood to have access to circa 200 gaming tables. According to Friday’s filing Mr U is a member of the Fuzhou Committee of the Chinese People’s Political Consultative Conference in Fujian province, a regional advisory body to the Chinese government. The announcement also mentioned Mr U was involved in several community associations with Fujian links.